We are proud of our students and we wish them good luck! 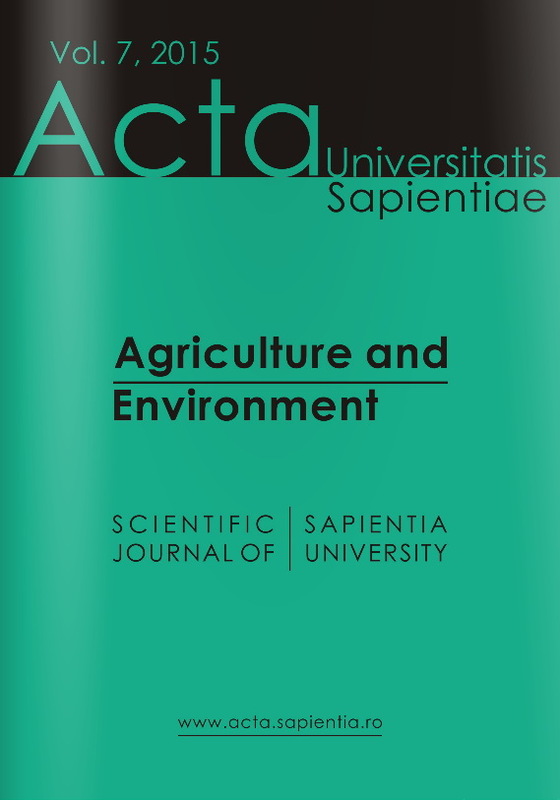 A total number of 84 participants attended the conference, organized by the Environmental Science Department and EnviroScientia Association of the Sapientia Hungarian University of Transylvania. At the opening ceremony dr. Urák István, chair of the conference and head of the organizer department, dr. Balog Adalbert, vice-rector of the Sapientia University, dr. Kovács Zoltán, vice-rector of the University of Nyíregyháza, and dr. Mócsy Ildikó, honorary chair of the conference, welcomed the participants. The welcome speeches were followed by plenary presentations. During the following two days, 45 oral presentations were held in seven sessions, together with the presentation of 26 posters. The conference ended with a gala dinner, and the next day, an excursion to Rimetea and Colțești was organized. We wish to thank to our sponsors (Wedas, Royal Invest, Nitech, Cromatec Plus) and for our colleagues and students, who contributed to the successful organization of the Conference, as well as to the participants for their interest and high-performing research, which ensured the continuation of the conference. 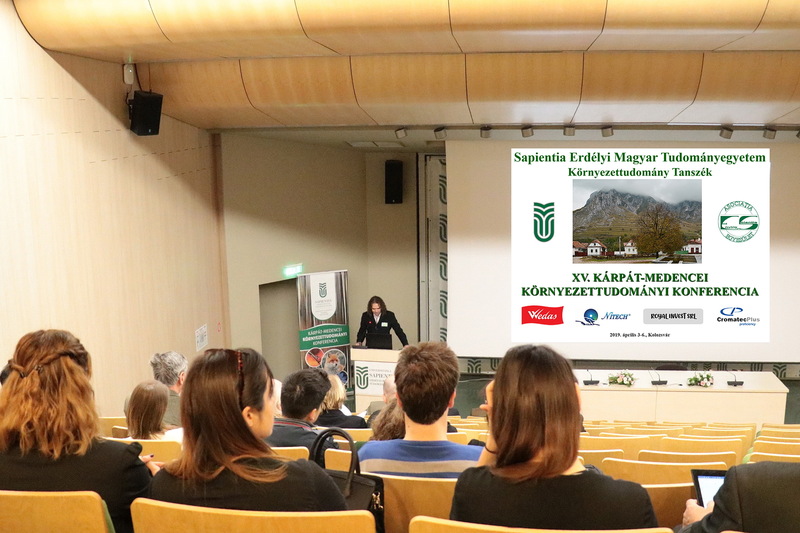 The XVth edition of the Environmental Conference in the Carpathian Basin will take place on 3-6 April, 2019, and will be organized by our department and the EnviroScientia Association. The language of the presentations will be Hungarian and English. The details with regard to the conference you find HERE. On 15th October, 2018, our department organized an academic evening. 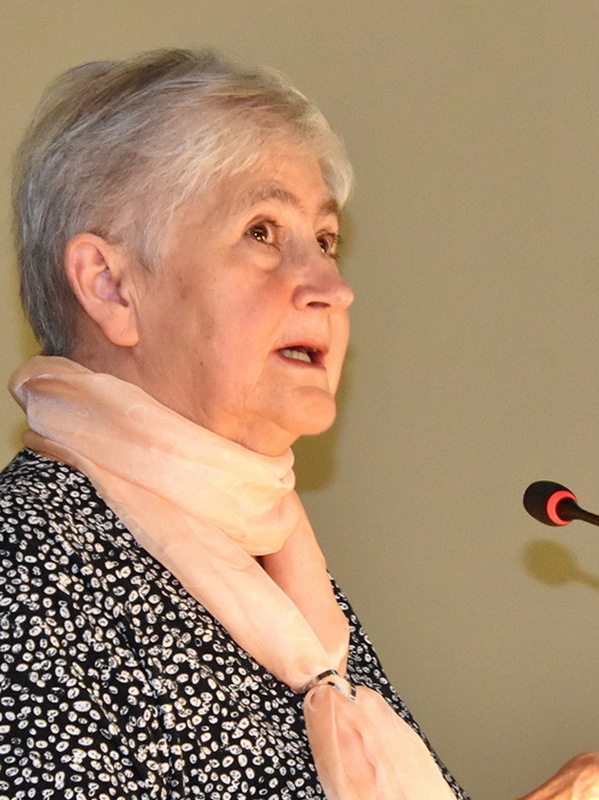 The invited speaker was Ildikó Mócsy, PhD, physicist, the founder of the Environmental Department and the initiator of the Academic Evening series, who turned 75 years old on this very day. Following her presentation about the consequences of the nuclear catastrophe from Cernobil, we celebrated her birthday with invited friends, colleagues, faculty staff and students. Hereto, we would like to thank again for her academic and spearheading activity as head of our department for many years. Dear Ildikó Mócsy, we wish you good health and prosperity! Happy birthday!